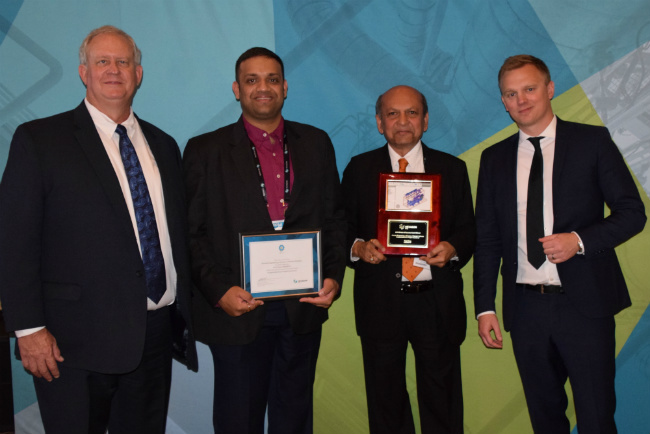 Las Vegas, Nevada, June 14, 2018: Rishabh Engineering Services (RES), a US-based multi-discipline engineering services company bagged the prestigious Drivers of Success Award third time in a row for a CAESAR II project at HxGN LIVE 2018 on Wednesday, June 13, 2018, in Las Vegas. The Drivers of Success award recognizes innovative application/utilization of different Hexagon Software Products, like CADWorx, CAESAR II, PV Elite, and GT STRUDL by various companies for their yearlong effort on solving problems for customers. The accolade honors impressive project results that have displayed significant benefits from inter-disciplinary collaboration and the integration of the products. HxGN LIVE is Hexagon’s annual and premier cross-industry technology conference. A technical, engineering-focused symposium, it highlights best of the engineering trends. It is through a mix of hands-on, user-oriented sessions, focused on improving critical parts of customer’s business needs. The event features industry experts who share their success stories through educational keynotes and sessions. Further, the gathering inspires attendants to enhance their skills through interactive training and provides them the opportunity to forge new connections that would help grow their professional network. Each year Hexagon PPM recognizes an engineering company that displays outstanding achievements in engineering design using CADWorx, CAESAR II, PV Elite, and GT STRUDL software. This award upholds the accuracy in engineering deliverables along with high quality and innovation. Rishabh Engineering, a division of Rishabh Software, was recognized for the innovative application of CAESAR II. “This is a wonderful recognition, and I am beyond proud of our ESO team. Winning the Drivers of Success Award three times in a row stands as a testimony of Rishabh Engineering’s commitment to offer exemplary services that are at par with international standards. It also reflects our passion for quality and on-time delivery for our global client-base,” said Mr. Raju Shah, CEO, Rishabh Engineering. “This success will help us further strengthen our approach around how we work with our customers and support them throughout their project lifecycle, with predefined objectives and milestones.” Mr. Shah added. Rishabh Engineering has successfully executed projects from Oil & Gas, Power Plants, Petrochemical, Specialty Chemicals, Utilities, Renewables and associated Energy sectors with innovative engineering models & deliverables by mastering Hexagon PPM’s Modeling & Analysis Solutions. It is a reflection of our robust capability and goal accomplishment, which helped enhance productivity for our EPC customers through accurate and efficient designs. For this recognition, Rishabh Engineering team wishes to thank Hexagon PPM and our esteemed customers for their continued support and trust in our capabilities. Hexagon PPM is a leading global provider of enterprise engineering software enabling smarter design and operation of plants, ships, and offshore facilities. Hexagon PPM is part of Hexagon (Nasdaq Stockholm: HEXA B; (http://www.hexagon.com), a leading global provider of information technology solutions that drive productivity and quality across geospatial and industrial landscapes. 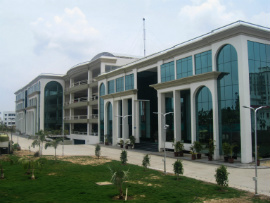 Rishabh Engineering Services, a division of Rishabh Software, is a multi-discipline engineering services company established in 2006. We offer high-quality engineering support solutions to EPC leaders operating in Oil & Gas, Petrochemicals, Power, Fertilizers and Water/ Wastewater industries in the global market. As a part of our services portfolio, Rishabh Engineering Services offers multi-disciplinary engineering support services including engineering and stress analysis, design and detailing, industrial 3D modeling, As-built Documentation, design validity checks, model and drawing conversion.